Understand my brain and you understand me. At Clarke Road School, we are committed to our moto, opening new worlds for every student. Our purpose is to provide a caring and vibrant learning environment that engages students to achieve their personal best – to open new worlds for every student. 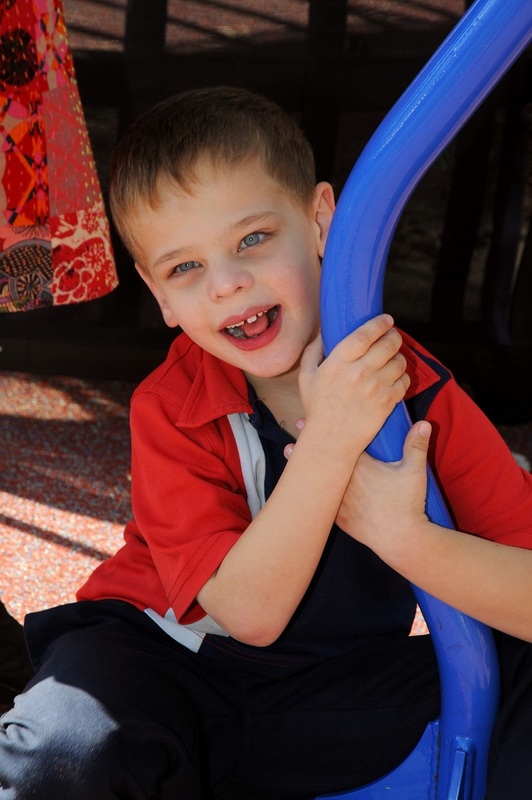 Our school caters for students with complex intellectual disabilities, K-12. Our school draws on insights of positive psychology, internal control theory and neuroscience to systematically build our learning community where we all support each other, fuelling a drive for continuous improvement of practice. 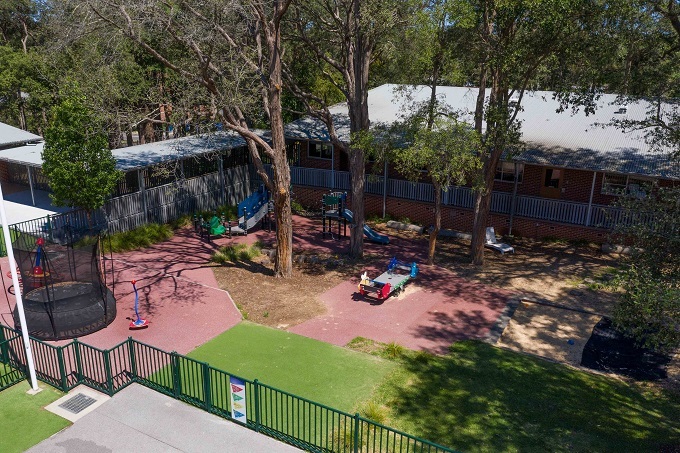 The school sustains a strong wellbeing focus, balanced with academic and functional programs, empowering students to achieve success, happiness and high self-esteem. Children must be well to maximise their learning opportunity. Our teachers and school learning support officers (SLSOs) work together in the classroom in a seamless and purposeful way. They all operate collaboratively and are respected as educational leaders . We specialise in many innovative programs that support students who learn differently and require differentiated curriculum. 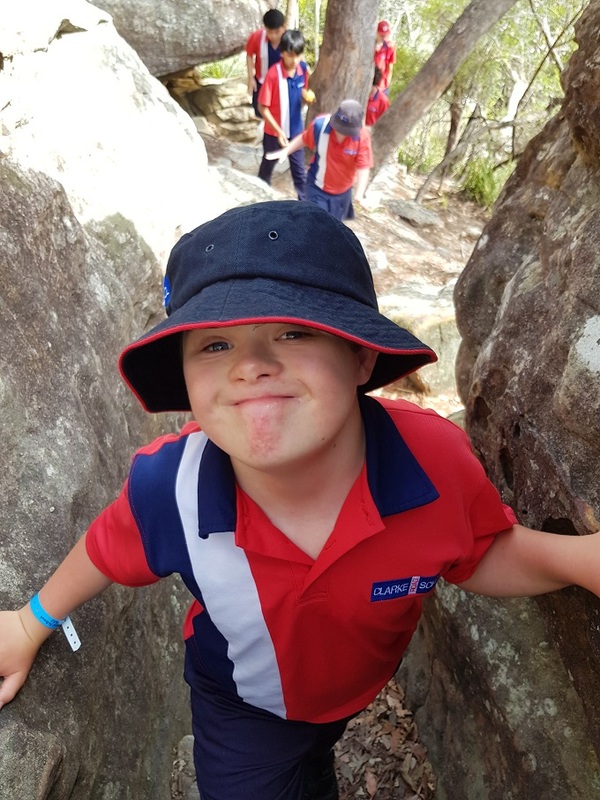 We provide personalised and individualised educational programs students, designed in consultation with families, carers and external providers. 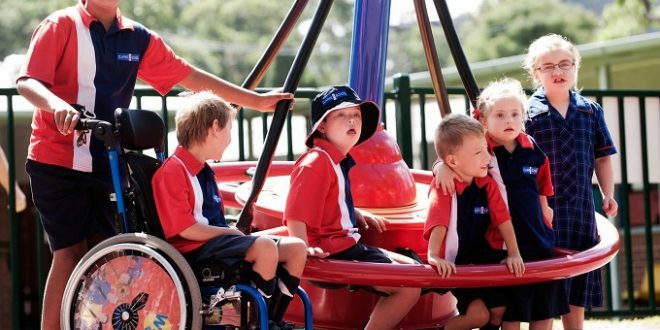 Clarke Road School has strong community networks and inclusive programs that foster belonging in the broader community. We have strong local links with local government and non-government schools and organisations Our students are front and centre of all that we do. 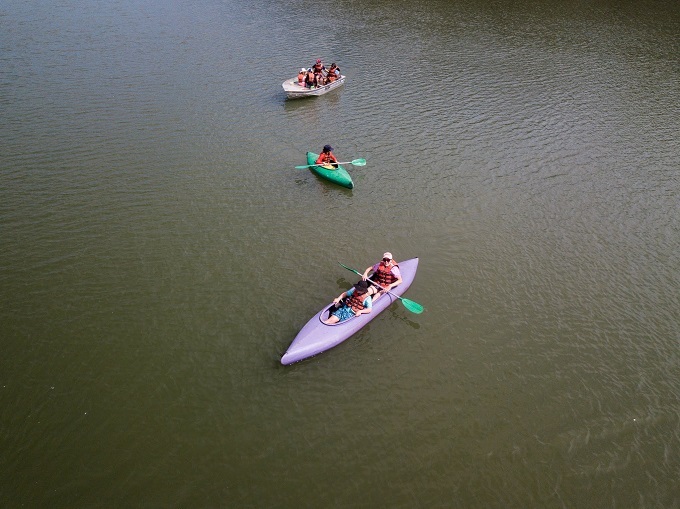 They are encouraged to develop skills and knowledge to manage themselves in our broader community and community access maintains an important place in our programs. Great schools care about students, care about parents and care about each other. They take responsibility for and pride in educational growth in learning. 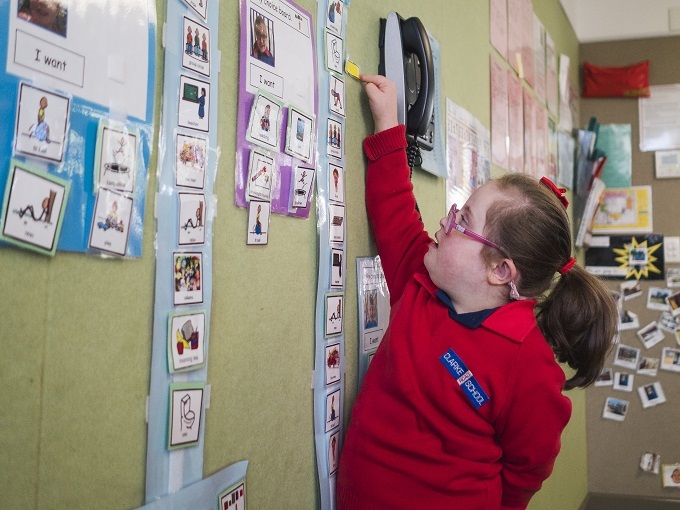 They are accountable to students, parents, carers and the broader community. Great schools are led by great leaders. As principal, I have a responsibility to build leaders who are connected to the processes and practices that makes our school excel. Leaders drive vision and all staff need to have ownership of the schools vision through consultation and collaboration at all stages of development. practices that and ethos every day, in every way, and with everyone closely connected with the school. I am fortunate to live on a beautiful island, with no cars, and my trip to school starts in my boat each day as I cross the river to start my commute to school. It’s a unique way to start my day! I am a fifth generation teacher. 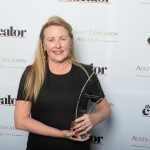 This year I was honoured to be awarded Australian Principal of the Year- Government and overall Principal of the Year 2018. Together, our team has transformed the operations and performance of Clarke Road School over a seven-year period. It takes time and sound management to build confidence in leadership to bring about change in a school – you must bring the team along with you, developing and respecting the diversity of talents in the team before you. The award is an acknowledgement of an outstanding school and an excelling team of educators that drive a culture of continual improvement. We have two programs that have reshaped our work. Our In the Zone for Learning and Creating a Voice programs focus on building support staff and teachers’ understandings of effective, evidence based teaching strategies. Our professional learning sessions include brainstorming/mentoring with a colleague and academic partner, learning conversations with a team member, as well as presentations, such as how the latest research in brain science is linked to practices within our classrooms. We have strong positive video evidence of the efficacy of the professional learning through these programs. We are committed to a central and shared ethos and approach. We believe it is important to look outwards, as we want to develop and validate effective research-based innovative programs for our special education learners. My vision setting a positive psychology-based support through this process has transformed the school. 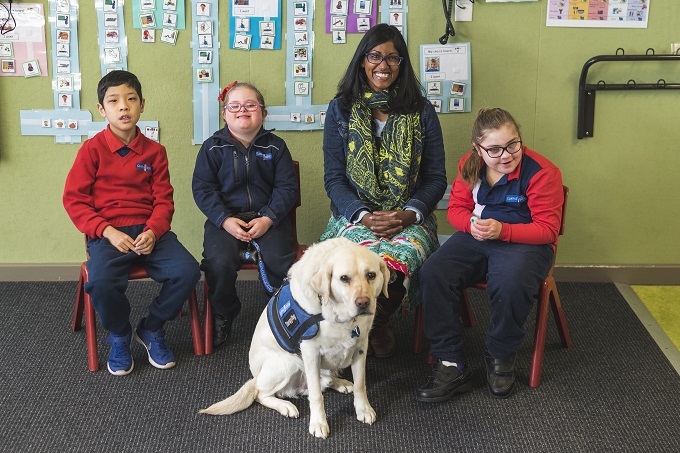 We now have a well-organised school environment that meets the physical, emotional, social and learning needs of our complex students in the classroom and beyond. 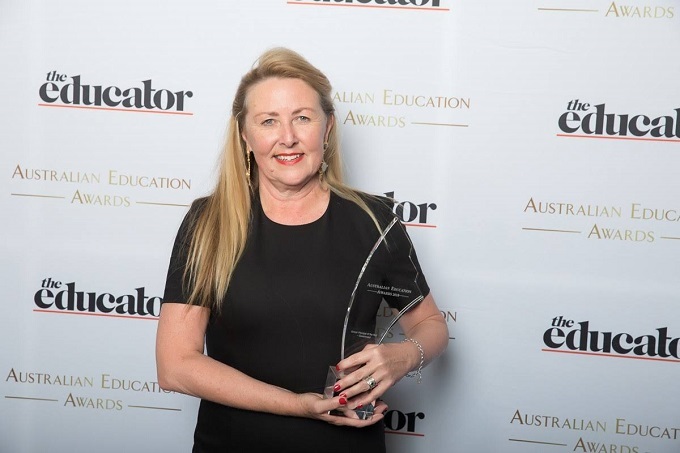 I am a champion of NSW public education and am privileged to work for the NSW Department of Education, an education system that is dedicated to excellence in education. Winning an award as prestigious as this does not happen unless you have an incredible team around you and a team who walks the walk with you every day to ensure our students receive the highest quality education that we can deliver. I am in this game because I care for students and want the very best for them. What do I value most about education? The greatest leaders I know are student focused with a view to a student’s best possible outcomes. They ensure they know, value and care for every student in their school. They value the participation and voice of their students and families in the rich context of their schools and they drive their strategic school directions from what they understand their students’ needs are. Great leaders are reflective of their practice. Their professional learning is driven from their school plan and reflects what they need to understand about their learners and what those students need moving forward. Great leaders are team focused and strive to build strong and connected teams deeply focused on personalised planning and teaching for each student. My staff and I value a growth mindset and, as such, we respect and support professional risk-taking. This is moderated by careful attention to evidenced based practices and ongoing evaluation, and review, to ensure our innovations achieve improved learning and success amongst our students and support of their parents. 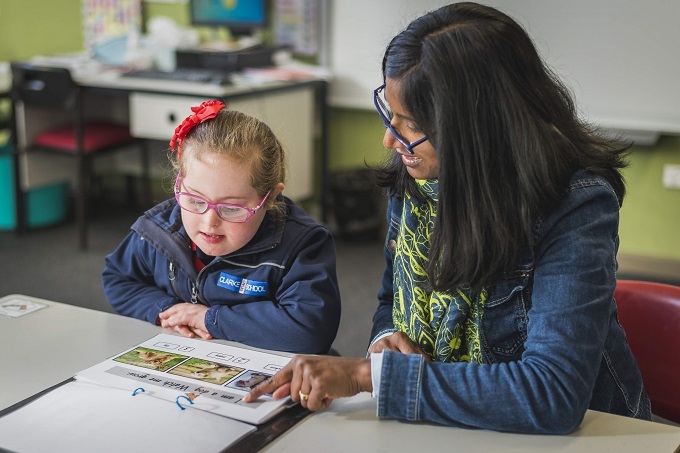 Students with moderate and severe intellectual disability require outstanding teachers who have expertise in understanding how a student’s brain is operating and what teaching practices support that child to be regulated and increasingly engaged in their learning. The integration of therapeutic practices that build the capacity and capabilities of staff to use those strategies every day to ensure our students are regulated and ‘owning’ their learning and behaviour is essential. The quantum gap that can exist between knowledge and teaching practice is where we focus our energies. Changing the pedagogical and inclusive practices for disabled students requires deep reflection and instructional practice that emanates from what a student needs. Their personalised needs. 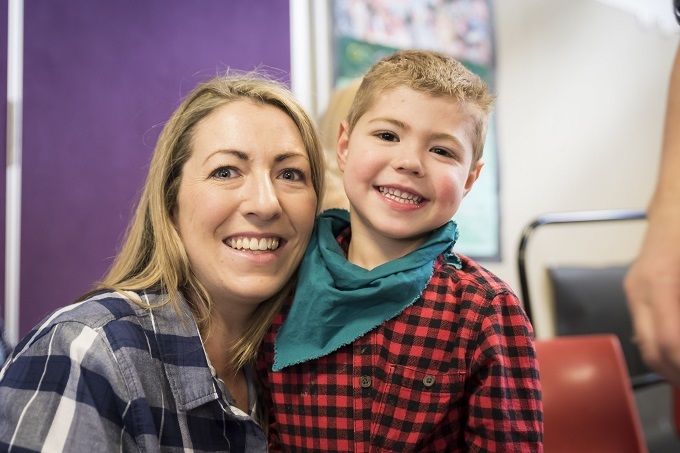 Deeply personalised learning is the hallmark of our school and our families are deeply engaged in the planning and monitoring of learning goals. Our families are engaged in professional learning alongside the teachers, as this ensures we build our collective efficacy. Education is the key to a student’s potential and every child has immense potential, unlocking this remains the challenge for many special educators. Know how your students’ brain operates and you begin to know the child. Disability can impact the brain, just like trauma does. Training your staff to be able to deliver trauma informed practices and adjust curriculum to meet student needs is just so critical. Teachers also need to be mentored to develop the pedagogy required to target teaching and learning for complex students,. Known your families, listen to their stories, celebrate their child gains often and publicly, however small. All gains are moving you closer to a better life for our students. Wrap your supports around them. Connect with them and build their wellbeing. They come to us with their best intentions and skills. Build from there. Know your students, deeply. Treasure your crew! Our teachers are gems and need to be recognised, valued and supported. Teachers are just incredible human beings. I have been principal of Clarke Road School for seven years. We tasked ourselves with a challenge in 2013. To change the mindset of everyone about how we think about ‘behaviour’ and respond to ‘behaviour’. Too often schools can sit on the treadmill of behaviour management support plans without a deep understanding of brain function and how to align that understanding to teaching. It can be an exhausting exercise. We developed ‘In the Zone for learning’ in collaborations with occupational therapist, academic partners, speech pathologists and educators. Our project has heralded major changes in how we understand and support students with complex learning issues. We focus on student regulations and, through explicit instruction we teach skills to improve the student knowledge and ability to regulate and increase engagement in learning. Teaching patterns of learning, providing schedules for learning and adjusting teaching tools has been instrumental. Student needs drive curriculum, not the other way around. We have mapped learning progressions backwards and integrated an understanding of brain function to maximise student gains. I couldn’t think of a more rewarding career than one that celebrates diversity. 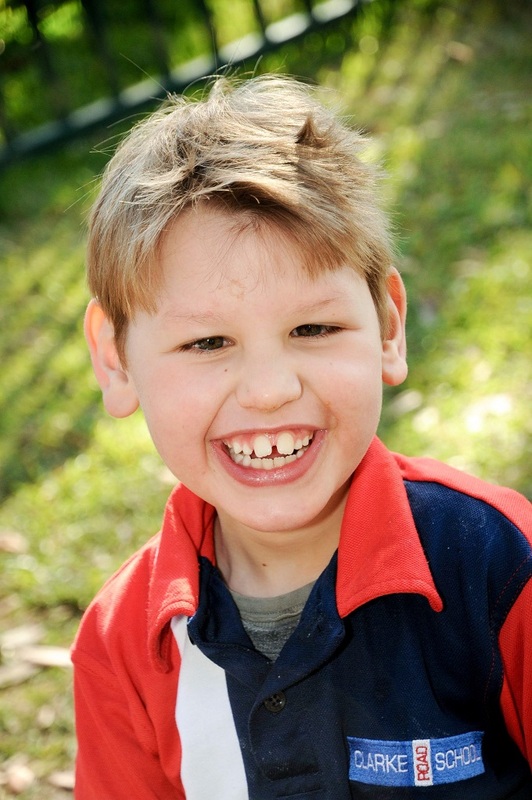 I love special education or rather just education for special kids… And aren’t they all! Our mantra is, understand my brain and you will understand me. Diane is the award-winning principal at Clarke Road School. 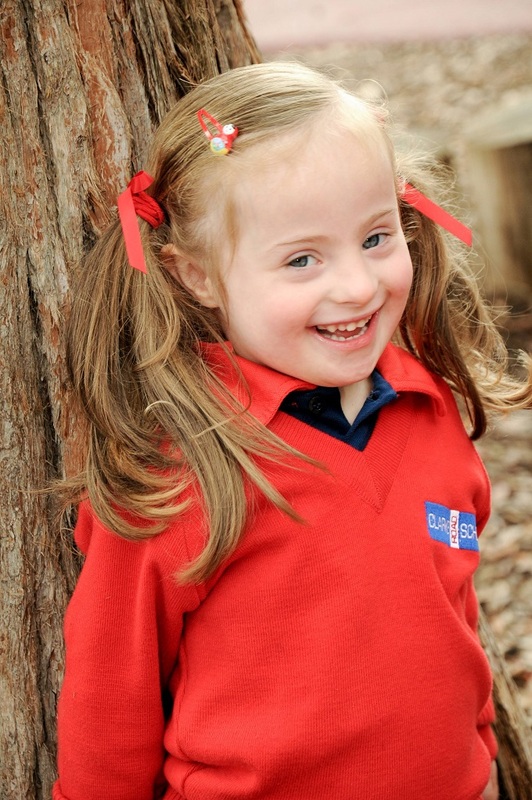 She is committed to her school's motto, opening new worlds for every student.